All hardware that we sell is fully tested and comes with an industry leading 1-Year Warranty. Arista Networks is a newer name in the networking hardware industry. Founded in 2004, the company, based in Santa Clara, California, has since grown into a global supplier. 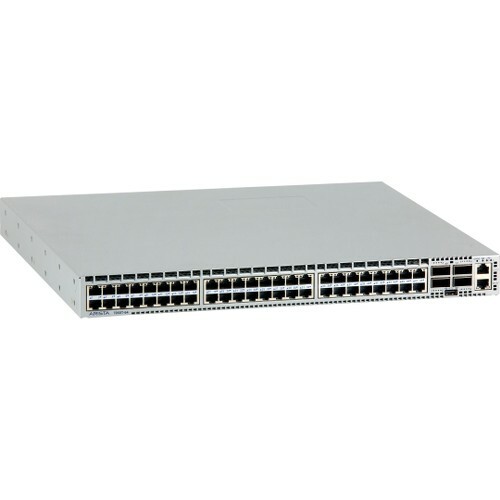 However, whereas some of the other big names in the industry offer a comprehensive selection of networking hardware, Arista specializes in Ethernet switches. 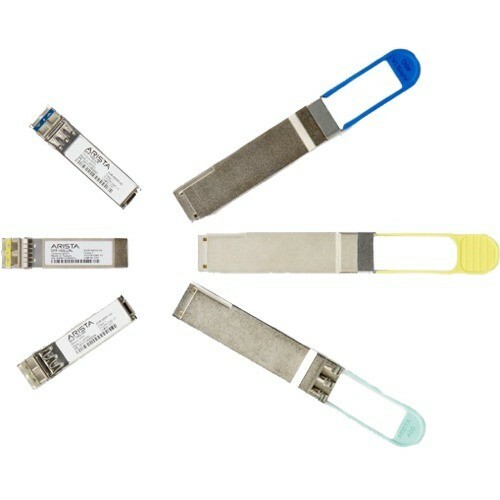 That being said, the company makes optical transceivers in several form factors as well. Arista’s line of switches is mostly comprised of advanced devices made for high-computing environments, including large-scale enterprises, service providers and data centers. The company has a reputation for manufacturing some of the fastest switches on the market. BrightStar Systems is a leading independent supplier of nearly new Arista switches, transceivers, and cables. Our used, pre-owned and refurbished surplus of networking hardware is guaranteed to be high-quality and cost-effective. Whether you’re looking to replace one piece of equipment or upgrade an entire system, you can depend on us to supply you with the top-performing, pre-owned Arista networking hardware. Businesses that revolve around data centers, telecommunications, financial ECNs and more, rely on our refurbished Arista products to manage their information and grow. Arista’s products serve a range of needs, and can suite large enterprises with high volume data flow. All Arista products run on the same EOS software as which can streamline network administration. Arista designed the software’s architecture for ease of use with software updates and overall resiliency through separating switch state, protocol processing, and application logic. We supply used and pre-owned Arista hardware, including switches, cables and transceivers, to companies of all sizes around the world, and to individual consumers. BrightStar Systems also provides wholesale and bulk networking equipment to other dealers. What is the BrightStar Systems promise? Low-priced products. Internationally known for competitively priced networking hardware and equipment. Expert knowledge. Highly-trained staff is on hand to answer any questions you may have and share helpful insights. Outstanding service. We provide everything you will need to make an informed purchase and maintain your product, such as price lists, specs, data sheets, and downloadable PDFs. Our shipping is fast and safe. Tested and proven performance. Each product is tested extensively to ensure that it is performing well and is ready for use. In-house warranty. All of our products are backed by BrightStar Systems’ 1 Year In-House Warranty. 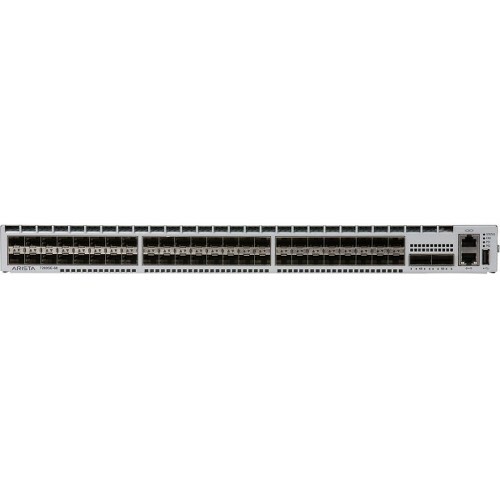 The Arista 7150 Series is the top-performing low latency switch (from 350 nanoseconds). It meets the needs of Big Data, Financial Trading, HPCs, Cloud Centers and Data Centers, but can be used in a variety of settings. It can function in a range of densities and is known for its predictable operation. The 7150S offers three models, 24, 52, and 64 10Gb ports. Each model supports layer 2 and layer 3 wire-speed performance. The 7150S-24 and 7150S-52 support SFP+ on all ports, and the 7150S-64 has 48 SFP+ ports and 4 QSFP+ ports. The SFP+ ports support 1G and 10G operation, and also 100MB support with 100/1000-TX transceivers. Need more information? Contact us today to purchase a used, pre-owned or refurbished 7150 Switch, or to receive a 7150 Series datasheet or PDF. 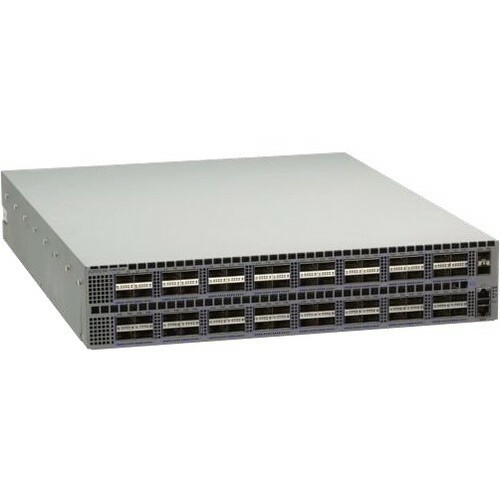 The Arista 7280 Series is a reputable switch that data centers and high performing businesses are increasingly using to meet needs of deep buffering and lossless forwarding. Because of its capabilities, it is best for large enterprises. 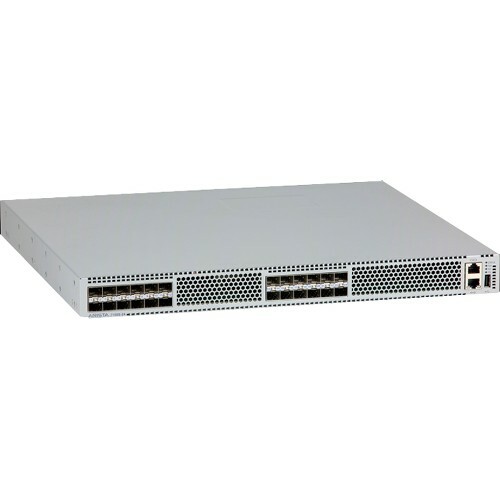 The 7280E series is the industry’s first 100 GbE Top of Rack switch and are for storage networks, content delivery networks, and lossless spline/leaf datacenter designs. Arista offers the 7280E series in three models each with 48 SFP+ ports for 1/10 GbE and a choice of four 40GbE and 100 GbE uplinks. 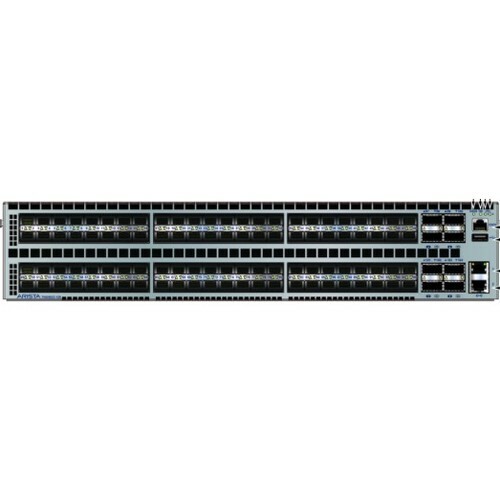 The 7280R series offers many models, with a choice of a 10GBASE-T, 10GbE, 25GbE SFP with 40GbE QSP uplinks. 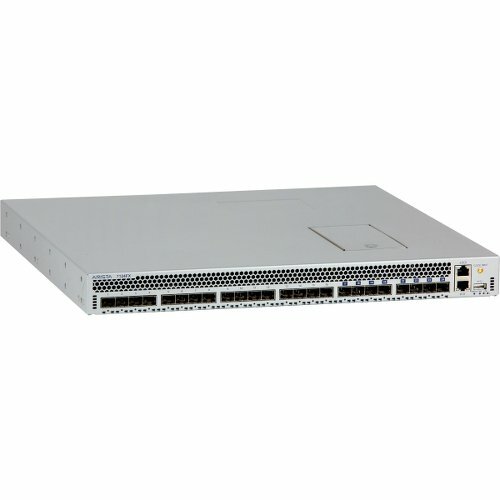 They provide up to 60 ports of wire-speed 100GbE. Interface speed can be chosen between 25GbE and 50GbE, offering flexibility for your business needs. There is also an option for a built-in SSD for data captures and advanced logging on the switch. Need more information? Contact us today to purchase a used, pre-owned or refurbished 7280 switch, or to receive a 7280 Series downloadable PDF. The Arista 7050X Series switch is another compact and energy efficient switch that can be crucial to data centers. All of the features are built to address significant data growth, expansion of web and cloud data centers, and software-defined networking. 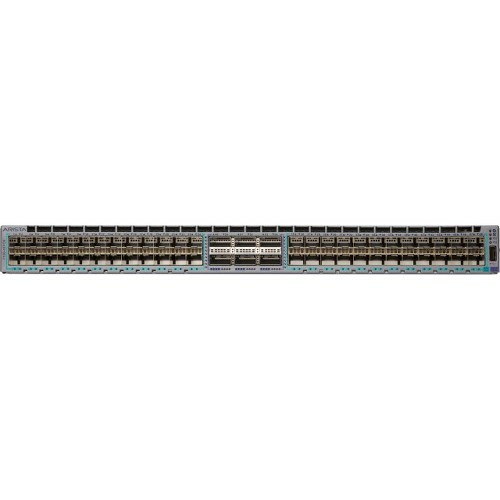 The 7050X offers more than ten different models, with combinations of 10G and 40G ethernet switching to allow users to design large-scale networks. Customers can choose between many models that have either one rack unit or two, and deliver high density 1/10 G SFP+ ports and 10/40G QSFP+ ports. Reach out to our sales team to find out which pre-owned Arista switches we currently have in stock. We would be happy to answer any of your questions regarding prices, specs and product data. With a growing number of applications for its products, Arista offers a range of transceivers and cables to standardize, boost power efficiency and support a range of media types. Fiber or copper connectivity support these products. Arista offers 100GbE, 40GbE, 25GbE, 10GbE, and 1GbE models, so use is flexible. 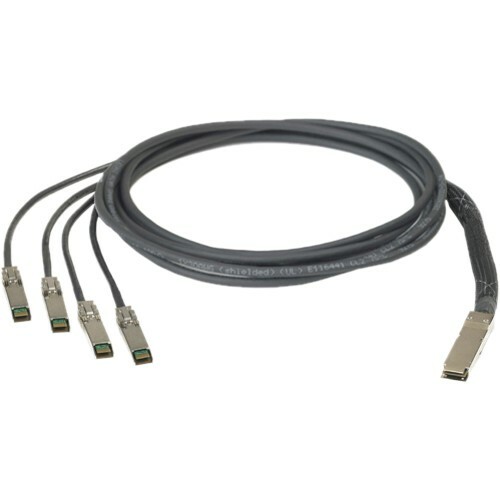 Arista’s transceivers and cables are high-density and low-power to ensure effectiveness and cost reduction. If you’re looking for a particular pre-owned or refurbished Arista switch model or part number, contact one of our sales representatives to find out if we have it in stock.